Central New York brewers, distillers, publicans and vintners offer the state’s best craft beverages on par with any of the United States’ finest pints. 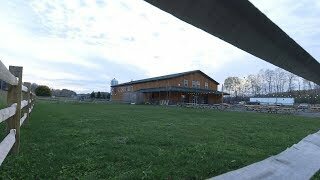 You’re invited to experience the craft renaissance brewing in Central New York, a place where the stories, traditions and tastes behind craft beer, hard cider, wine and spirits collide like nowhere else in the country. 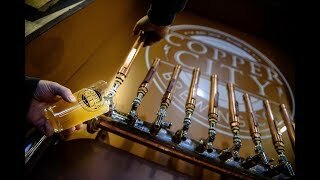 Whether tipping a farm-to-glass beer at a brewpub, sampling some moonshine or enjoying a sip of hard cider or wine, you’ll be a part of something special in Brew Central, America’s Craft Brew Destination. Across the region, you’ll find fathers and sons, brothers and couples brewing up world-class craft beer, serving up the pints and making conversation. Every one of these 75-plus producers has a story to share, tales you can often hear direct from them. 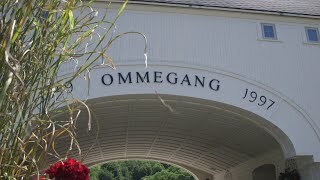 But for now, let’s talk about pop culture: the music nights, trivia nights and days filled with tastings; the big shows and Game of Thrones at Brewery Ommegang; an endless flow of entertainment in the brew communities of Central New York. A Deadhead wandering the West Coast made some brewing buddies and started importing their beers to Syracuse, New York. His pub, the Blue Tusk, is one of “125 Places to Have a Beer Before You Die” according to All About Beer magazine. We want you to not only taste the beer, hard cider, spirits and wine; we want you to really get to know the folks who make it and make us America’s Craft Brew Destination. Learn all about the great producers and products all around Central New York in our webseries! He was ahead of his time as were many of the adventurous brew pioneers here. Butternuts Beer & Ale was putting craft into cans long before it was cool. Four generations ago, F.X. 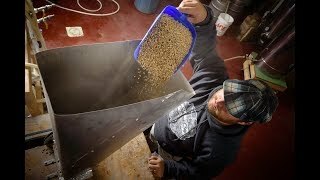 Matt Brewing‘s founder perfected an IPA recipe that was recently resurrected as a Saranac release. A tour of that brewery, founded more than 125 years ago, delivers a history lesson. It harkens back to the days when hop yards were as common as corn fields. The counties that make up Brew Central became the hop capital of the country, peaking in the late 1800s when it produced 90 percent of the nation’s supply. Modern-day brewers like Empire are bringing back the tradition at its farm brewery. We have plenty of those laid-back places to enjoy a pint among the bines and natural beauty of Central New York. And don’t forget the scenic wineries, uncorking products on par with New York’s famous Finger Lakes region. Enjoy some hard cider on the farm at Critz Farms Brewing & Cider Co. or among the orchards of Rogers’ Cideryard. Sip some of our finest spirits from across the region. There’s a reason we call it America’s Craft Brew Destination. And it’s one you can enjoy right in the heart of New York State. Born from legacy and inspired by tradition, the breweries of Central New York represent a collection as eclectic as anywhere in the nation. The former hop capital of the country remains fertile ground for budding brewers and generations-old operations alike. This is a land where the legend of F.X. Matt, producer of Saranac beers, mingles with the likes Brewery Ommegang, author of the red hot Game of Thrones series. This is the home of cult favorites Empire Brewing and up-and-comers like Good Nature. From backyard brewhouses like Stump City in rural Gloversville to downtown brewpubs like Water Street in vibrant Binghamton, America’s Craft Brew Destination is a place to discover stories, traditions and tastes too numerous to count. The creativity is unlimited as well. What’s on tap is driven by both the seasons and personalities. You might, for instance, find a rhubarb brew at the North Brewery or something exceptionally hoppy when harvest time rolls around at Copper City. Forget the beer trail and wander a bit. 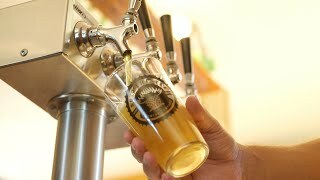 Each step onto the grounds of a farm brewery or into a tasting room begins a new craft beverage experience to enjoy over and over in Brew Central. Central New York complements its endless beer offerings with homegrown, handcrafted beverages of another variety. There’s a new tradition brewing here in form of some of New York state’s finest spirits. You’ll find big, often locally sourced, taste in these small batches prepared by the likes of 1857 Spirits, which makes its home on the 160-year-old Barber’s Farm where the potatoes make the vodka. That’s not the only unique ingredient you’ll find in Brew Central. Perhaps the truest local flavor comes from Adirondack Distilling, which uses Herkimer diamonds mined nearby to filter its vodka, gin and whiskey. The baseball diamond meets bourbon at Cooperstown Distillery, which naturally takes a cue from our nation’s pastime in the home of its Hall of Fame. 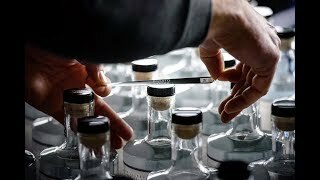 It’s just one of the distilleries, many the first in their counties since prohibition to produce spirits, that are leading the movement. Stop in a tasting room or ask for something local to go with your meal and savor a sip on your next trip through Brew Central. Our deep roots in brew stretching back to the hop yards of the late 1800s are undeniable. But, our traditions are just as varied as the tastes you’ll find across the region. There’s a hard cider revival brewing in Central New York led by the likes of historic Fly Creek Cider Mill & Orchard and award-winning Critz Farms Brewing & Cider Co. 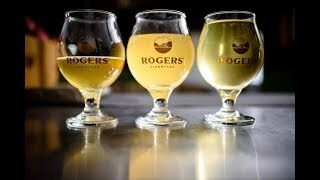 Smaller producers like Rogers’ Cideryard chip in with unique stylings inspired by time-tested fermentation techniques. Time is the essence of generations-old operations like 1911 Spirits, guided by 100 years of family ownership. New family legacies like KyMar Farm Winery and Distillery are redefining wine and spirit production in Central New York. 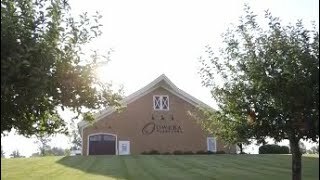 The grapes are as plentiful as the apples here, with places like scenic Owera Vineyards producing worthy competition to the Finger Lakes. 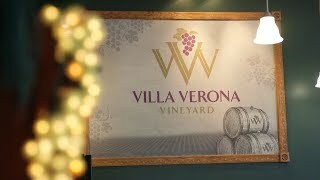 Hummingbird Hills too keeps its own crop and places like Villa Verona Vineyard put their own spin on Finger Lakes grapes. 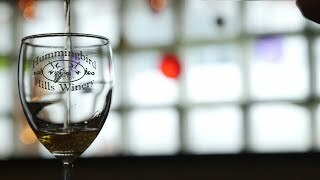 Whatever your taste in fermented fruit, Brew Central has a great place to grab a glass for yourself and your travel mates. Pull up a stool for a pint or a flight at any of our craft pubs for a taste of New York or something special from beyond our borders. Starting with just three taps, Blue Tusk now boasts 69 offerings from across the country and was named one of All About Beer magazine’s “125 Places to Have a Beer Before You Die.” In similar fashion, the Ale House outside of Binghamton constantly rotates its dozens of taps, cans and bottles. There are plenty of under-the-radar drink destinations like Fulton County’s Project 29 Pub & Filling Station, always serving up a sizable selection of New York state exclusives. The TV-less Green Onion Pub in Utica is a place to gather for friendly conversation. Nail Creek Pub & Brewery built a community around its taps, bottles and original brews in the spirit of European pub culture. As an alternative, you can add some gaming to the mix at the Upstate Tavern located inside Turning Stone Resort Casino or BBG’s, which features dozens of arcade classics. No matter your style, there’s an ideal place to imbibe in Brew Central, where the only tradition stronger than making beer, ciders, spirits and wines is serving them.